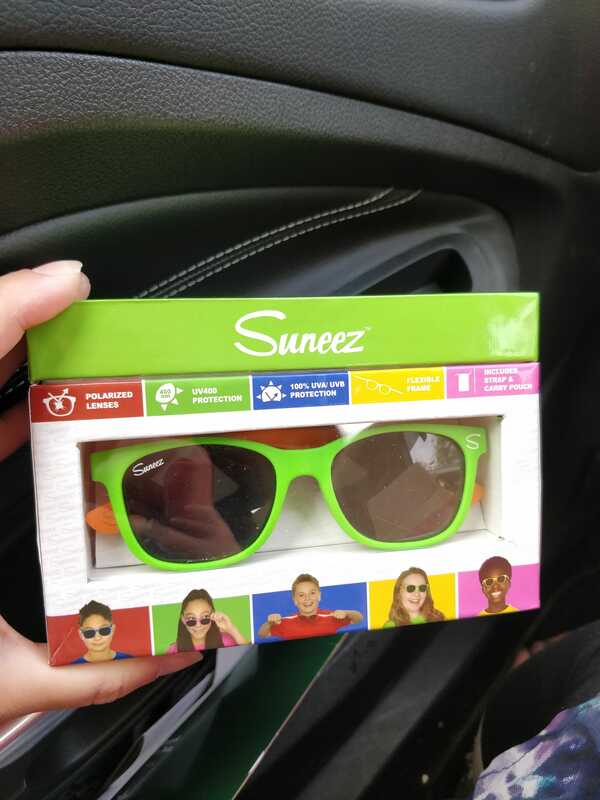 Suneez – The Perfect Sunglasses For Kids! 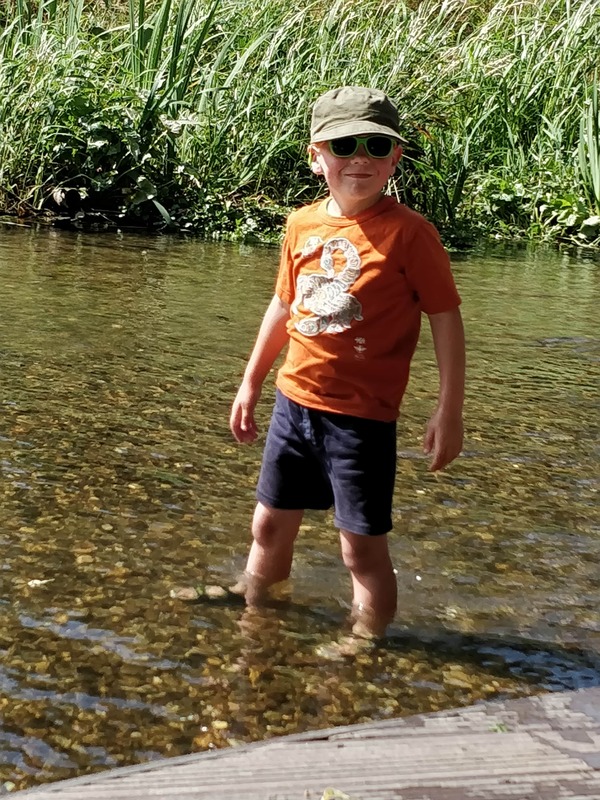 You know that moment – when you realise that the summer really is here to stay and you REALLY need to get some sunglasses for the kids! The problem is, in my experience, that it’s really hard to know which type is the perfect sunglasses for kids. You know – ones that will actually stay on their faces, not get lost every 2 seconds, look funky and fun and, above all else, actually work!! This was exactly the dilemma we were in when we headed off on our first camping trip to Camp Bestival. We had all the gear – sun cream, hats, shorts, water sprays – but no sunglasses that we thought would actually protect the children’s eyes! So when we were asked by Suneez if we’d like to try their fab sunglasses for kids, we were absolutely delighted. Perhaps we were about to find the perfect sunglasses for kids! The first thing we noticed when we got them out of the box (and by the way, even the box is utterly fab and cool looking! ), was how flexible they are. The number of glasses both children have had over the years where they sit on them, snap the arms off or just generally drop them and destroy them are too many to count. But these?? Well, we could bend them, shape them, fiddle with them to our heart’s content and they just took the beating. I was so impressed as Alex particularly needs something really robust, and robust they are! 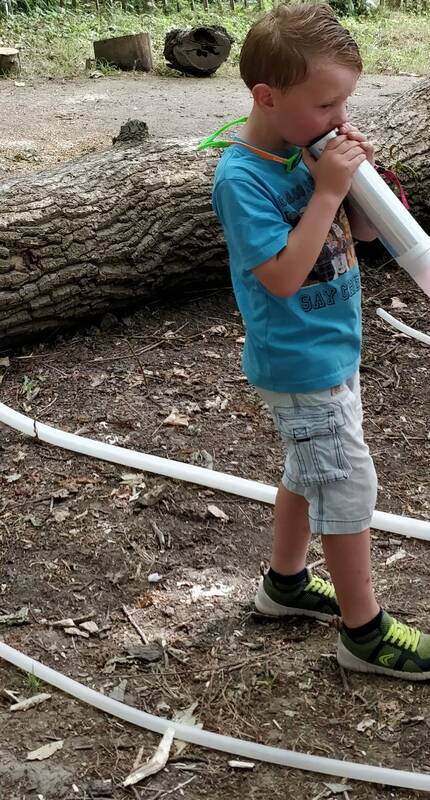 They have so far survived a camping trip, raving to Andy and the Odd Socks, a fishing trip, clambering up and down slides, paddling in a pool and every play park we came across. Impressive stuff. So far, so perfect! But our next big worry was whether they would be lost. I was so pleased to see that they come in the brightest colours going, which certainly makes them easy to spot when they are buried at the bottom of a rucksack – but could they survive being taken out every day? Would them come back?? 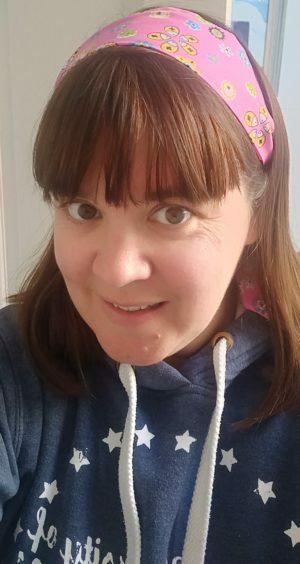 Well, I’m delighted to report that, due to the rather fab neck strap design, as soon as either children takes them off, they just dangle around their necks, not getting in the way due to how light they are, but safely nestled on the children’s chests, ready to be worn again when needed. Seriously genius! So that covered the breaking and losing part, both of which are important. However, in order for these to be the perfect sunglasses for kids, they needed to actually do their job and protect my children’s eyes. Looking at the box and the website, I ended up with more checks against these requirements too. It turns out that not only are they polarised, but they are also 100% UVA and UVB protection! So, to recap – they won’t break, are very very difficult to lose, and give great protection to the kids eyes. 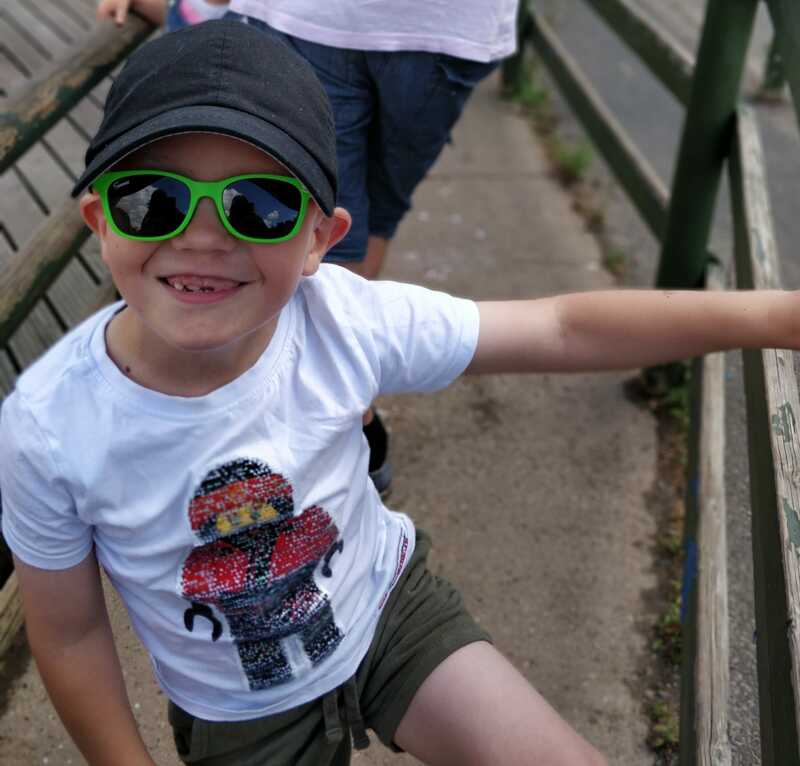 So all in all, as we had hoped – these really are the perfect sunglasses for kids! If you’d like to find out a bit more and see the great range of colours head over to the Suneez website where you’ll be able to purchase a pair for £25. Disclosure: We were sent the Suneez sunglasses in return for an honest review. All photographs and opinions are our own, and The Newby Tribe only promotes items that it fully believes in.